I just love public parks in urban settings. To my mind they are at the top of the list of things that make a city healthy, livable and fun! 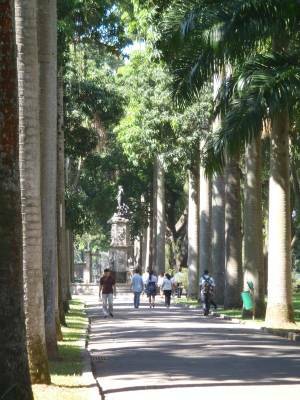 So whenever I have had a chance I explore the parks and gardens in Rio de Janeiro. Of course the most famous public spaces here are the gorgeous and immaculate beaches, accessible to everyone, and well taken care of by the city. 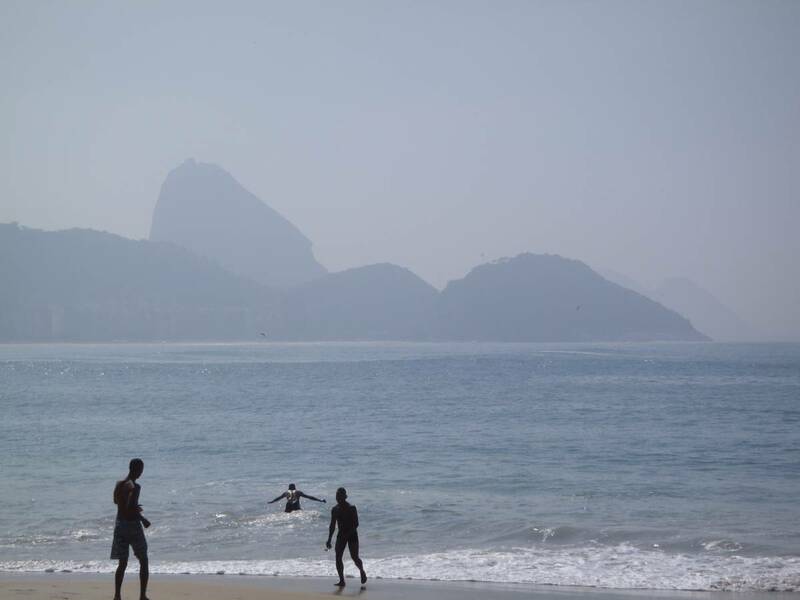 While waiting for my Portuguese class I often sit at the Copacabana beach sipping a cool agua di coco, practicing my verbs and watching the city crews systematically raking up any debris from the sand. 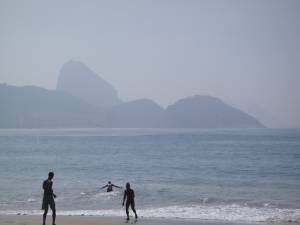 On Sunday at Ipanema beach the surf is up and the life guards are out in full force, and helicopter patrols swoop by to pick up anyone who might have been forced out to sea. 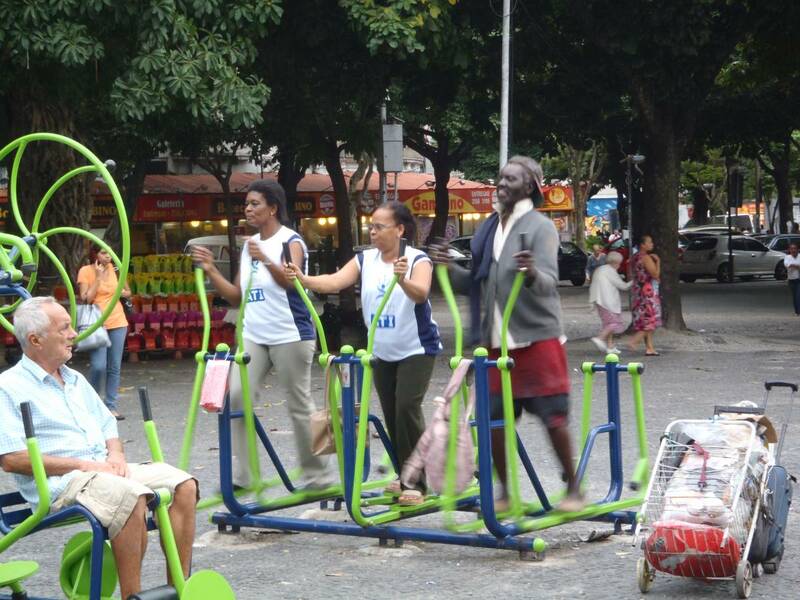 The public parks have recently been refurbished by the last mayor. But they are often hidden behind tall iron fences and not readily accessible to the people. Things have improved lately but the middle class still lives behind gated apartments and streets, in an 'indoor culture' that comes from a history of violence and fear. 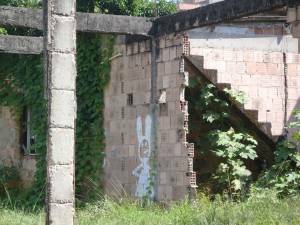 Public parks are avoided in favor of the casa da festa, indoor party rooms. 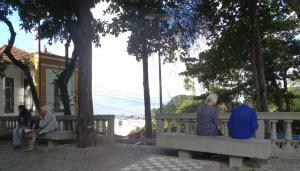 My favorite innovation in the Rio public parks though, is the Academia da Terceira Idade (Third Age Academy). Exercise equipment for the elderly, designed with a beautiful simplicity, has been installed in parks and squares all around the downtown. These are always busy, lively hubs of activity!! 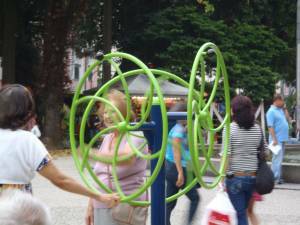 In the older, historic neighbourhoods we find little public squares and parquettes in the European tradition. 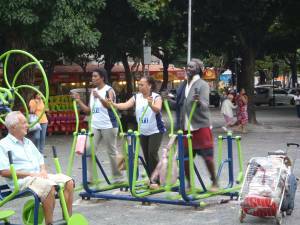 Parks are like so many other aspects of life in Rio de Janeiro, the city of contrasts. As we move away from the centre of the city and into the poor neighbourhoods, any evidence of public space disappears. The only place for adults to gather are at the futbol field or in (private) clubs. The kids hang out in the streets or in orphaned spaces.